In the last weeks I played around with an old generator for sudoku puzzles I developed years ago.. I cleaned up some old classes and changed the output format to a new image representation with a higher resolution that can be used for books and other printed outputs. 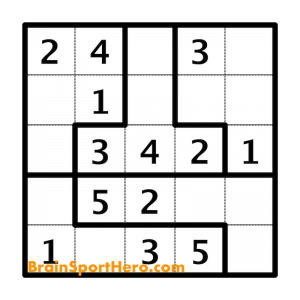 While testing around a new idea hit me out of a sudden: Why should we stick to the old sudoku field form? 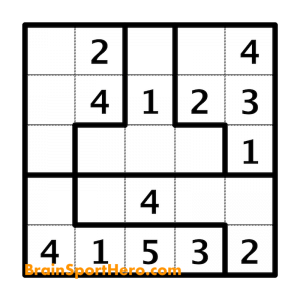 The classic sudoku exercises come with the field of nine rows, nine columns and nine blocks. 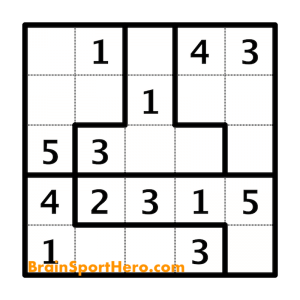 The rules of the classic Sudoku puzzles is well documented on Wikipedia page about Sudoku..
Our new Sudoku Variants stick to rules that every row and every column has to include the digits 1 to 6 (for the field layout 6×6 here). But we provide a new way of defining the block. Every block that is surrounded by a thicker black border contains to digits 1 to 6. But the blocks will come in many different shapes. This forces the player to find new strategies with every new layout. 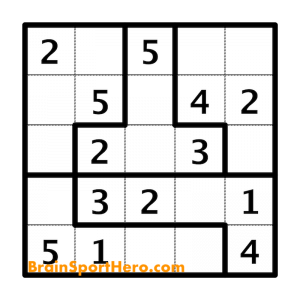 Some layouts could become harder to solve while other layouts are easier compared to classic Sudoku layout.